The uninstalling process on Mac seems to be easy: you just drag an app icon from the Application folder into Trash or select Move to Trash in the context menu. Some applications provide an installer combined with an uninstaller, which you can also use. But, when you delete apps in this way, the apps may leave behind junk files. I noticed that after I had removed Kies from my Mac. 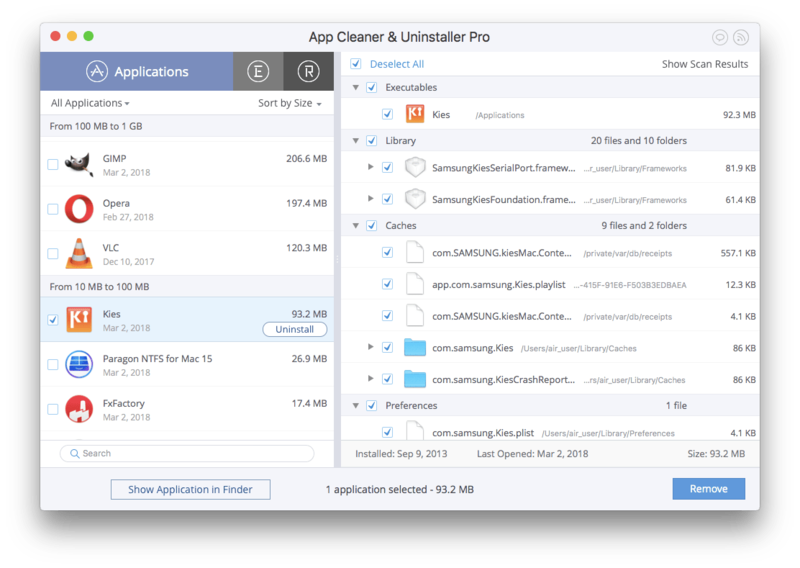 In this article, I want to show you the right way to remove apps so as not to leave app leftovers on your Mac. 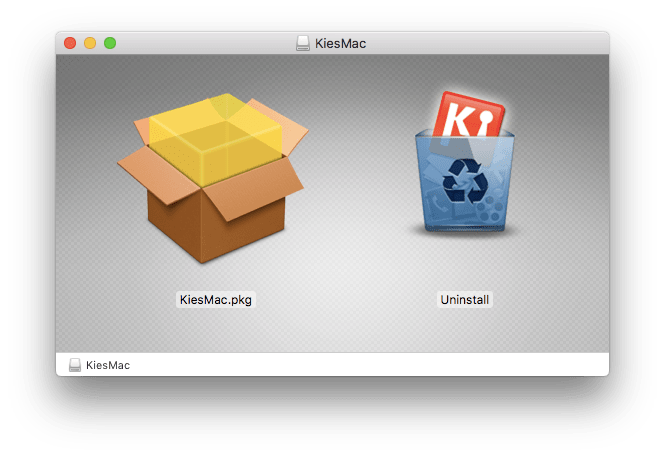 Remove Kies using its native uninstaller. 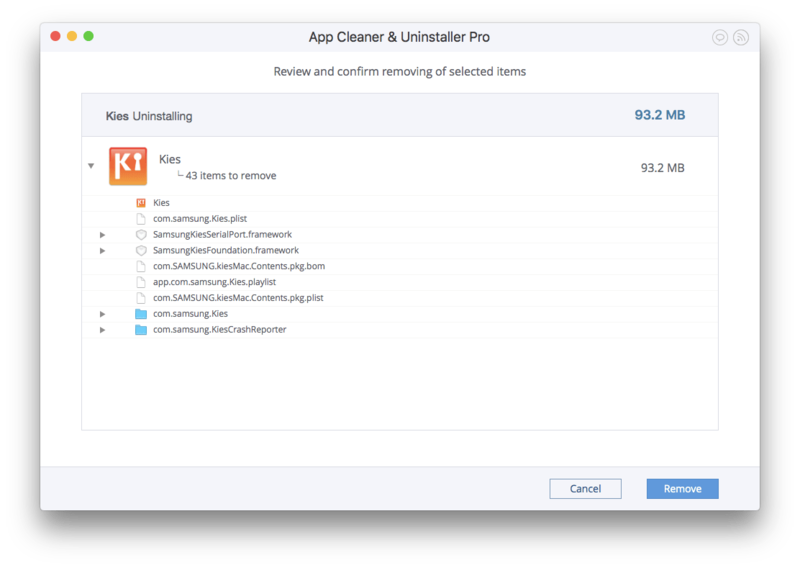 Uninstall Kies using App Cleaner. The first way is to delete Kies from the Applications folder. 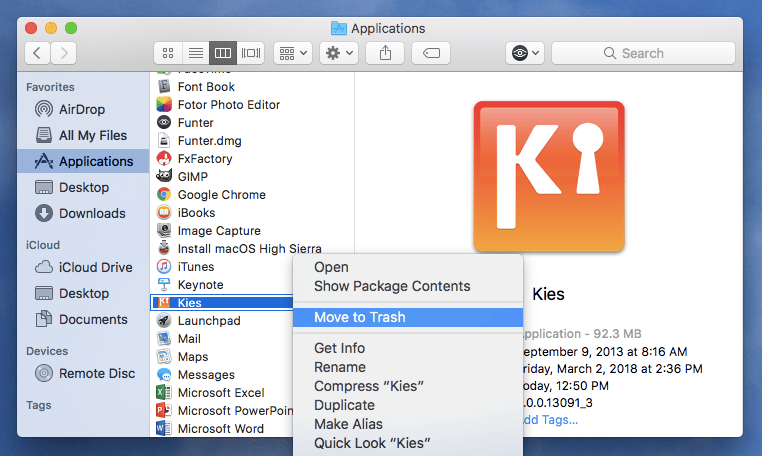 Drag the Kies icon to Trash, or make a right-click and select Move to Trash from the context menu. The Samsung Kies for Mac application has created supporting files on my computer, but now they are useless for me. Usually, these types of files are stored in the hidden Library folder. Open the Library folder → go to the Caches folder → select “com.samsung.Kies” and “com.samsung.KiesCrashReporter” files and delete them. 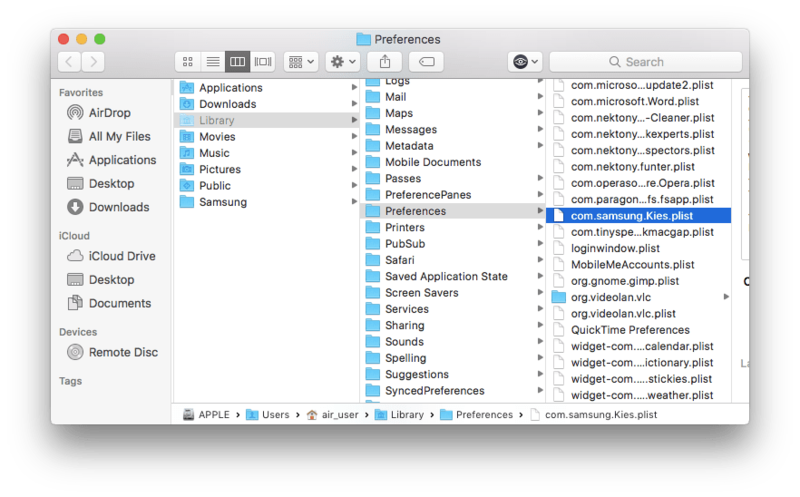 Then, in the Library folder go to Preferences, choose “com.samsung.Kies.plist” and remove it too. 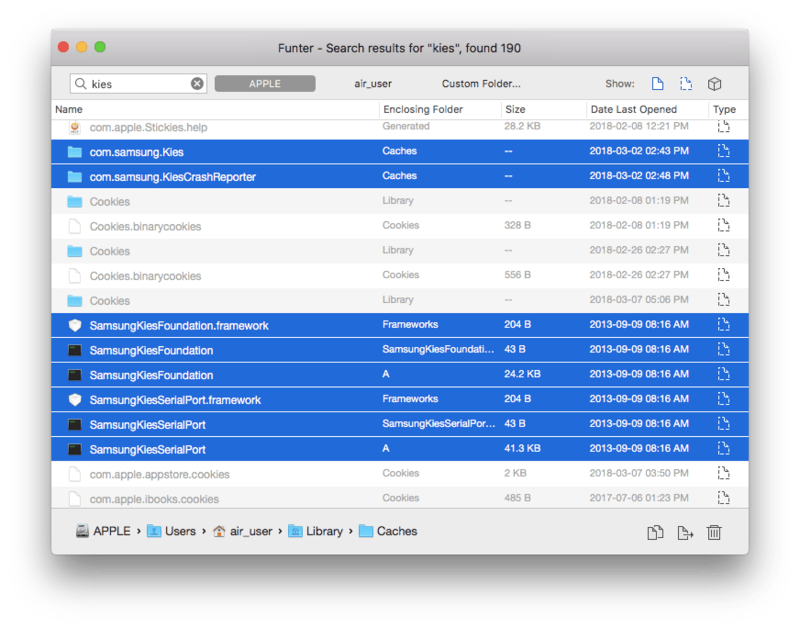 Finally, go to the Frameworks folder → select “SumsungKiesFoundation.framework” and “SamsungKiesSerialPort.framework” and move them to Trash. 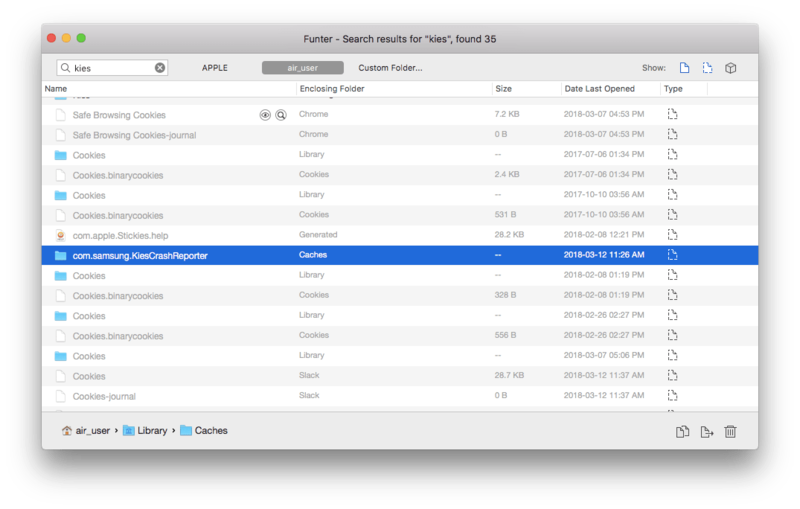 Also, if you want to find hidden service files and folders on your Mac, you can use a free app Funter . Enter “kies” in the search bar and the app will show you all the files and folders related to Kies. You can delete these remains right there in Funter. Or you can open these files in the Finder and delete them manually. The second method is to use the Kies uninstaller. Open the “KiesMac_3-0_Setup.dmg” file from Downloads. Select the uninstall option and click the Yes button to remove Kies on your Mac. After using the second method, I decided to check once more for leftovers with the Funter app. This time I found only one file, located in the Caches folder. Thus, even using the default Mac Kies uninstaller, leaves junk files. So don’t forget to delete this file also and then empty the Trash folder. The third method of uninstalling Kies suits me best. 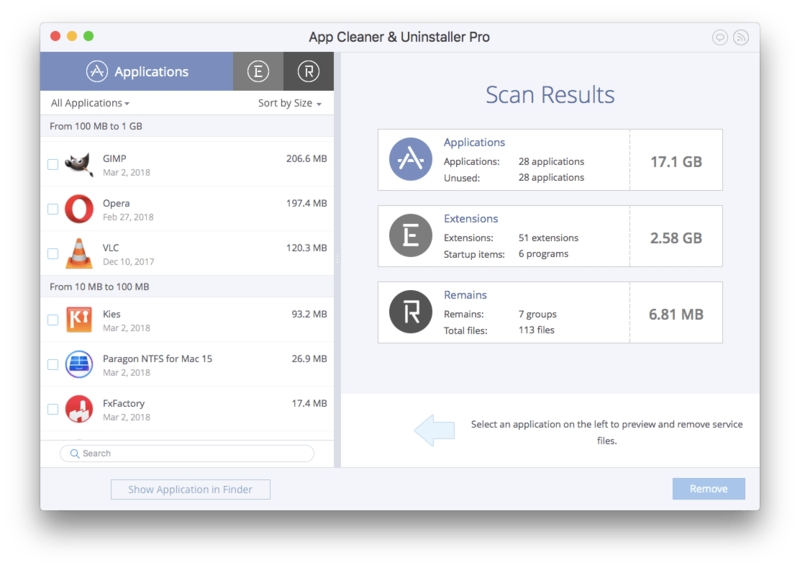 If you can’t find the Kies uninstaller file and you don’t like to waste your time searching for service files manually, I recommend that you try App Cleaner & Uninstaller. It is the easiest way to remove applications from your Mac. Let’s see why. Select the Kies app in the list of applications. All related files and folders will be selected automatically. Then click the Remove button. Just review the selected items for completing the Samsung Kies uninstalling. Click the Remove button again and close the window. Now you know three ways of Samsung Kies uninstalling, so the issue where you can’t uninstall Samsung Kies will not bother you anymore.